At Prime Care Chiropractic Centers we have a full therapy suite, equipped with everything necessary to help in your recovery. 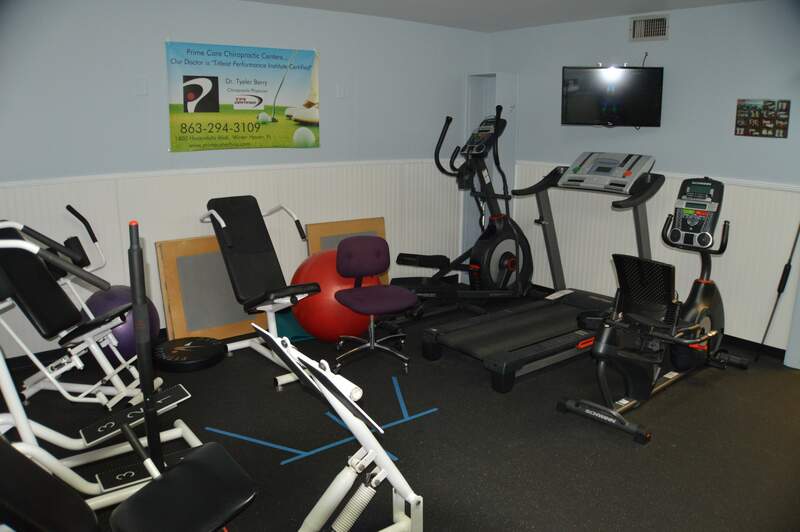 Included in our therapy suite are a treadmill, elliptical machine, recumbent bicycle, hydraulic resistance exercise machines, electrical muscle stimulation machines, ultrasound machines, a spinal decompression table, therapy balls, balance discs, hot packs, and cold packs. As part of your recommendations for care, the doctors may prescribe multiple therapeutic modalites to aid in the healing process, prevent further injury, and help you reach your greatest health potential. Therapeutic exercise is a set of repetitive stretching, strengthening, or endurance maneuvers designed to develop weakened or injured muscle groups that support the spine. Specific exercises help rehabilitate the spine. The individual bones of the spine are held in place by muscles and ligaments. Proper motion and position of these bones are crucial for proper nervous system function, correct posture, and good health. Exercises and repeated maneuvers help repattern and condition these connective tissues. Electrical Muscle Stimulation uses a special form of electrical current that is administered at the site of soft tissue injury, especially muscles, for the blocking of pain. Small amounts of electrical current are induced into the tissues for the purpose of reducing swelling. This widely used technique safely strengthens muscles and helps reduce painful symptoms. Patients generally feel a slight tingling sensation at first. Since your body may become accustomed to the initial setting, the intensity may be raised during the course of your 8-15 minute treatment, for maximum healing effect. 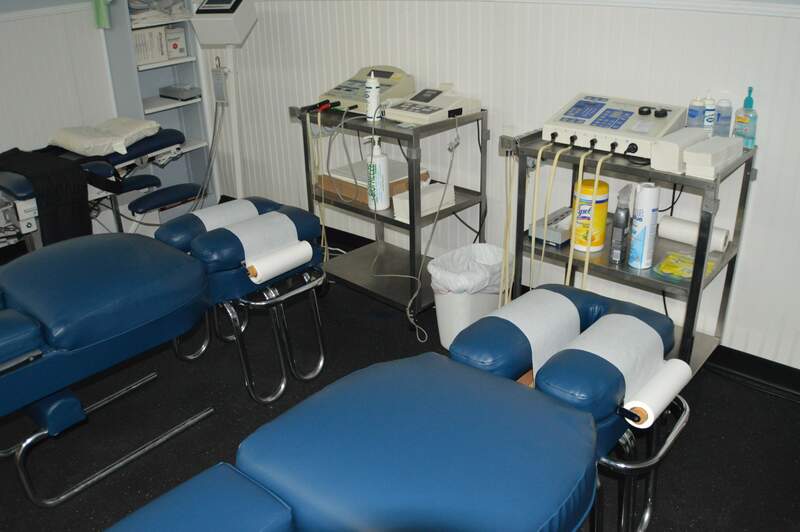 Therapeutic Ultrasound Therapy uses high-frequency sound waves administered in the region of soft tissue injuries. Sound vibrations, as fast as a million times per second, penetrate the tissues deepin the body, creating a heat response. These vibrations and heat help break down and disperse unhealthy calcium and other hard tissue accumulations. The gel used to conduct the sound waves is at room temperature and may momentarily feel cool to the skin when it is initially applied. Most patients feel nothing, or a pleasant and relaxing sensation below the surface of the skin. Ultrasound treatment can usually be administered directly to the area of complaint, penetrating deep into the body. The rise in temperature increases blood flow, relaxes muscle spasms, massages damaged tissues, and speeds the healing process.